Autumn is a beautiful season that’s loved by photographers everywhere. Or at least by those who happen to live in areas of the world where the changing leaves create spectacular photo opportunities! By CHRISTINA HARMAN. 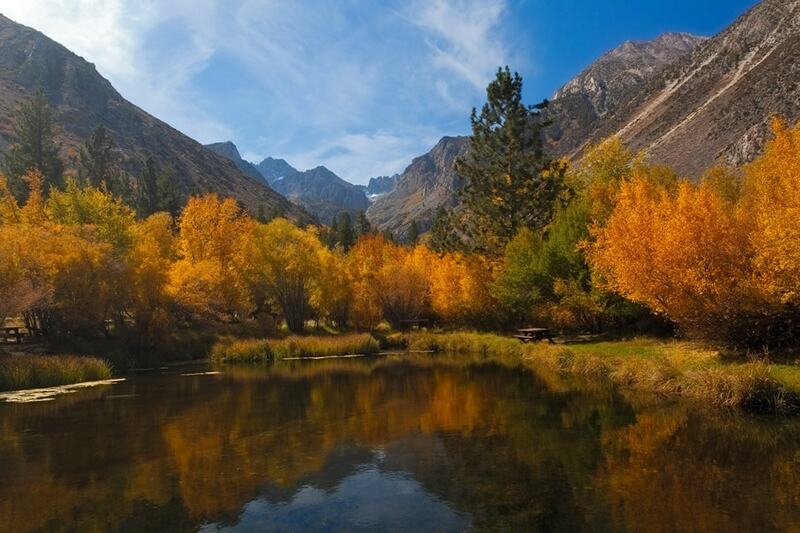 If you happen to live in, or are traveling to one of those scenic areas, then chances are that you’ll want to capture fall in all of its beauty. 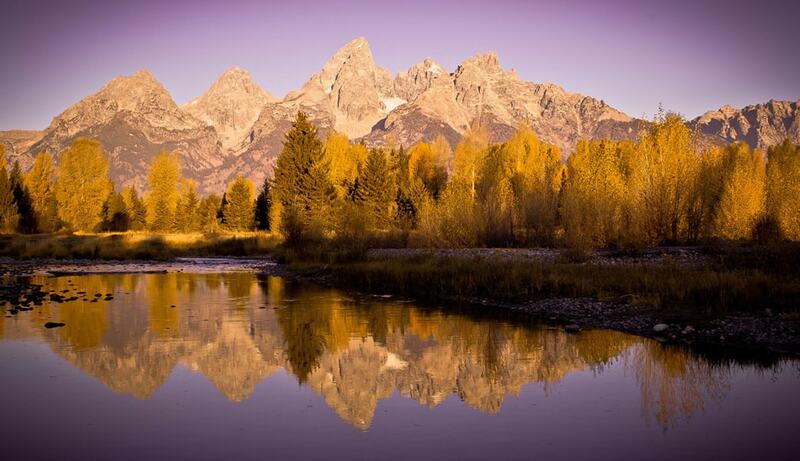 One of the best ways to create images that showcase the splendor of autumn is by looking to include some reflections in your images. If you think that all reflections are created equal, think again! There are lots of ways that you can include reflections in your images and a number of different types of reflections too. From classic images of the autumn foliage mirrored off of the surface of a lake, to an abstract image that showcases the colors of fall, and even city street lamps reflecting off of the street, there are plenty of ways that you can use reflections to enhance your images. By mastering the art of capturing beautiful autumn reflections, you’ll have another great tool in your arsenal of photography concepts. Here’s a look at some tips for capturing and incorporating these beautiful elements into your compositions. The classic image of trees reflecting off the surface of a clear, smooth lake is popular with photographers everywhere, and for good reason. Mirror-like reflections can make for striking images. If you’re hoping to showcase the beauty of autumn by photographing some colorful, vibrant trees reflected off of a lake, you’ll want to look for windless, calm conditions for the best results. 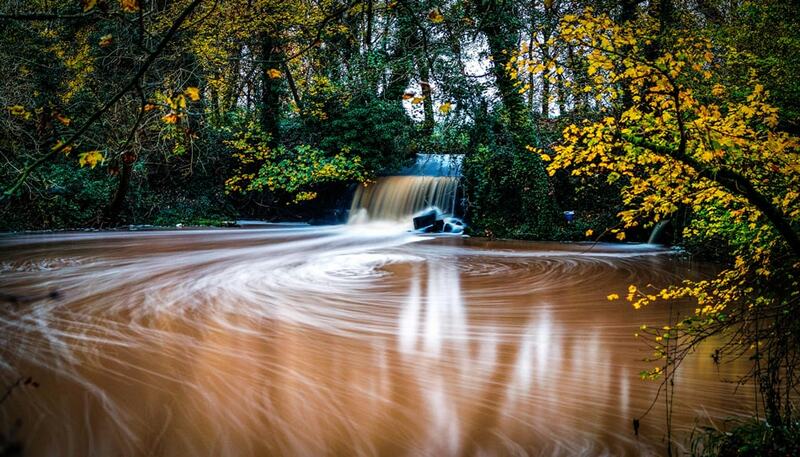 If the water isn’t completely still though, don’t worry, just use a slower shutter speed to gently blur the surface of the water, and capture a beautiful, softer image. Alternatively, you could work with what you have, and use a fast shutter speed to freeze the ripples in the water, showcasing their interesting texture. While you might be tempted to capture everything as far as the eye can see, sometimes, you’ll want to get closer. 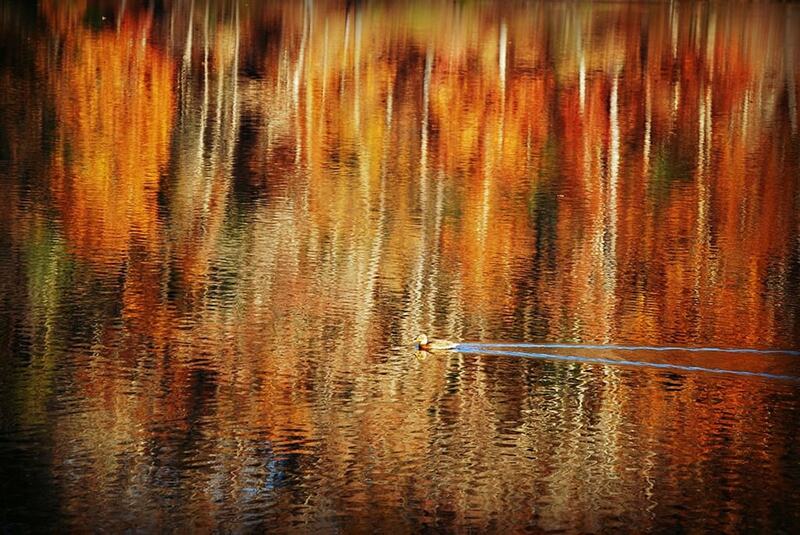 Autumn foliage presents some great opportunities for creating some up-close and abstract reflections. Try leaving the trees out of your image, and just look to capture a close-up of the water that’s reflecting some of those beautiful, vibrant colors. This could be a close-up of a small pond or lake, of even a slow-moving stream or river. This technique works especially well when the light is ideal, such as golden hour or early morning or evening light. If you’d like to isolate the beauty of a reflection, and are hoping for an image that’s not entirely abstract, you could look to include elements like rocks or a floating leaf to help anchor and add stability and context to your composition. 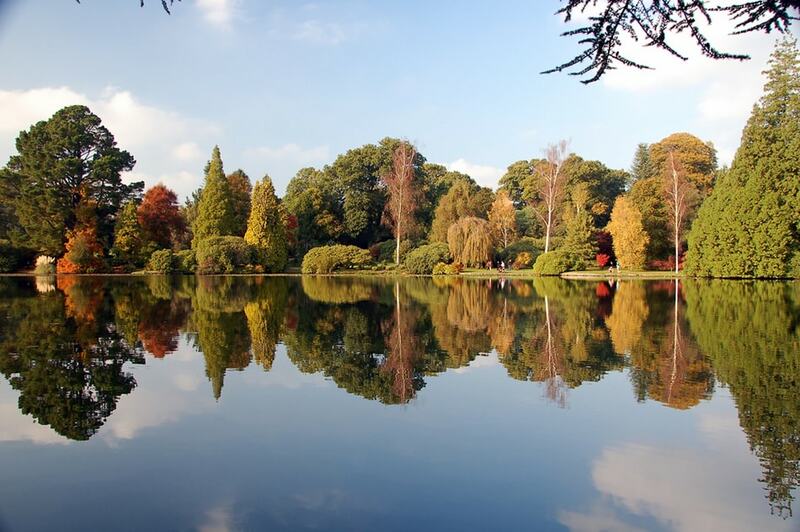 The light is a major factor in capturing autumn reflections. And learning to make the most of available light will help you to capture some extraordinary images. Sunrise or sunset, as well as golden hour are all especially beautiful. The dramatic lighting that’s often found just after a storm is another great time for autumn images. If you can, try to plan to be on-location during an optimal time of day to capture the best light. If you’re photographing during midday, though, no worries! Just bring a polarizer along with you. Using a polarizer will cut through some of the reflections on the surface, allowing you to include some of the rocks in the shallows, which you’ll be able to see when the light is clear. When capturing autumn reflections, keep your eye open for elements that can help to anchor your images. Including birds on the lake, some rocks in the shallows, or fallen trees or logs floating in the water can help to add interest as well as stability to your images. Including a waterfall or some interesting foreground – like fallen leaves, a in your images can also enhance your compositions. When it comes to shooting autumn reflections you don’t need a lot of extra gear, but having the right equipment can help you to take your images up a notch. Tripod: a tripod is always a welcome addition when shooting reflections. Bringing one along can help to prevent camera shake and image blur when you’re using slow shutter speeds. Lenses: who doesn’t like a good wide-angle landscape shot? Especially when fall is in the picture! Using a wide-angle lens allows you to create an image that enhances the sense of depth in the composition, making all of the elements appear to be farther apart. This works great when you want to capture an image with lots of beautiful foreground in it. Of course, you don’t have to shoot wide. Sometimes, the composition calls for a zoom lens to compress the elements, useful for those times where you want to draw that distant mountain closer. Filters: a polarizing filter can cut through the glare at the surface of the water, or on the wet rocks in the shallows. This allows you to capture partial reflections, while still allowing you to see under the surface of the water. A polarizer also helps to darken the skies and increase contrast in the clouds. You’ll also want to bring along a graduated neutral-density filter (graduated ND filter) to help balance out your exposures. Angle your shot so that the dark part of the filter is over the sky and the rest is over the water to balance the bright sky with the darker water or foreground. Finally, while beautiful changing trees and sweeping landscapes make for classic autumn images, you can include reflections in your cityscape images as well. With darkness falling earlier for many places in the world, look for reflections in the form of street lamps, or car headlights reflecting off of puddles or wet city streets. 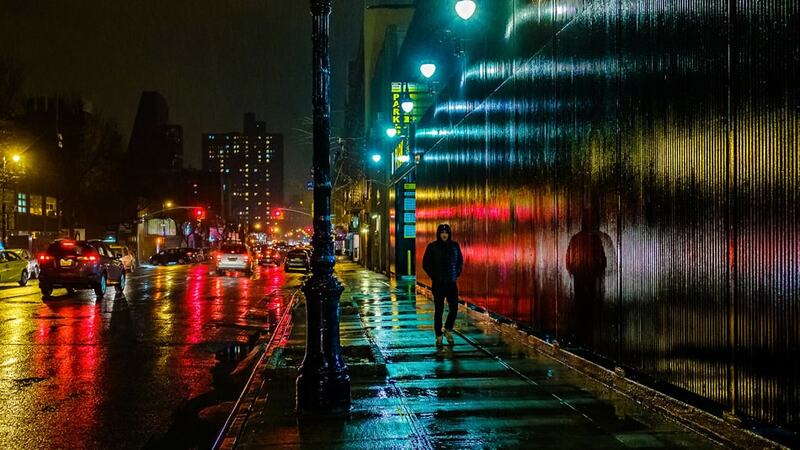 Including reflections will help to lighten up your dark, nighttime images, allowing you to capture beautiful, dramatic cityscapes awash in the rain. Autumn’s colors are fleeting – and you’ll want to capture them before they’re gone – but even after the leaves have fallen, you can still get some great reflections. Creating images that showcase the transition of fall to winter, and photographing even bare and spare trees reflected off the surface of the water can also make for some great images. So be sure to get out there and have fun capturing the different stages of year, using reflections to add extra interest to your compositions.